Jockey Jose Luis Flores, who was seriously injured in a spill at Parx on Monday, died Thursday after being taken off life support. Flores was injured when his mount Love Rules fell suddenly during the ninth race, apparently from a fractured shoulder. Love Rules, who was trained by Harold Wyner, was euthanized and Flores was taken to the intensive care unit at Aria-Jefferson Health Torresdale Hospital in Philadelphia suffering from severe head trauma. A 57-year-old native of Peru and son of a jockey, Flores began his career in his native country, then rode for several years in Panama before coming to the United States in 1987. According to Daily Racing Form, Flores was four-time leading rider at Penn National before moving his tack to Parx (then Philadelphia Park) in the late 1990s, where he became that track's all-time leading money-winning rider. According to Equibase, Flores has ridden 4,650 winners from 28,684 mounts, his best year coming in 1987 when he won 380 races from 1,694 mounts. His biggest win was aboard Loaded Gun in the Grade 3 Philadelphia Park Breeders' Cup Handicap for owner-trainer Janis Gerace in 1999. He is the 157th rider to die from from a racing accident since the Jockeys' Guild began keeping track of the grim statistic in the early 1940s, according to Guild's national manager, Terry Meyocks. 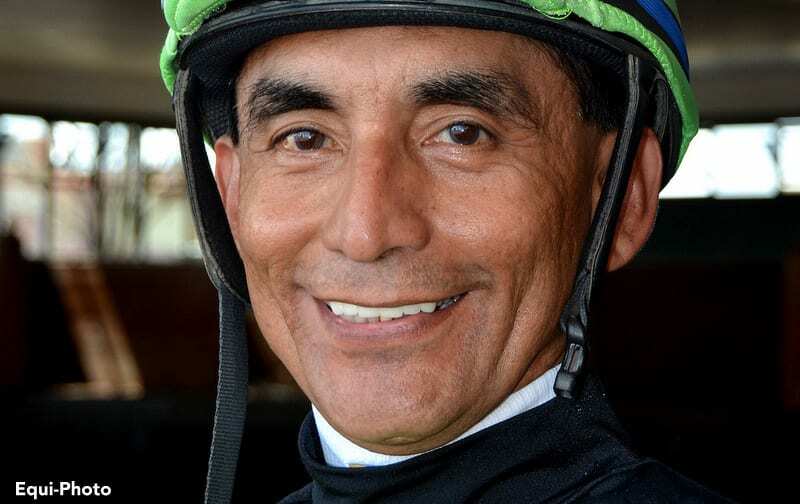 Mario Chavez, who succumbed to injuries suffered in an accident at Will Rogers Downs in Oklahoma last October, was the last jockey killed in a race. A somber John Velazquez, chairman of the Jockeys' Guild, expressed his condolences to the Flores family and said the death of a fellow rider is felt by jockeys everywhere. Velazquez urged racetracks and regulators to do everything possible to reduce the incidence of catastrophic injuries to horses and make a very dangerous occupation as safe as it can be – from conducting more stringent pre-race exams to maintaining safe surfaces to having on-track paramedics for when accidents do happen. Flores is survived by his wife, former jockey Joanne McDaid-Flores, who rode from 2004-16. The couple has a seven-year-old son, Julien. Flores has two adult sons, Junior and Juan. Two fund-raising efforts to assist the Flores family are under way on the Go Fund Me online platform. The first campaign was created by Maria Remedio, a fellow jockey and close friend of Flores widow, Joanne McDaid-Flores. Donations can be made here. A second campaign was created by the Pennsylvania Thoroughbred Horsemen's Association based at Parx Racing. Donations to that campaign can be made here. The PTHA has also created a separate fund-raising and tribute page on its website that can be accessed here. Visitation and a memorial service for jockey Jose Luis Flores is scheduled from 5:30 to 8 p.m. Tuesday on the third floor of the grandstand at Parx Racing in Bensalem, Pa. The visitation and services were moved from Tomlinson Funeral Home, which had originally planned to host the services, because of the expected large turnout. 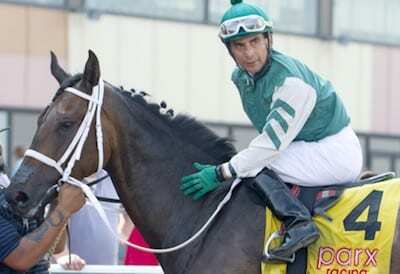 This entry was posted in NL Article, People and tagged jockey deaths, Jockeys, jose luis flores, parx, pennsylvania racing by Paulick Report Staff. Bookmark the permalink.